City councillors have asked the administration to draft a report outlining recommendations for ways to set up an advisory committee to help Edmonton better deal with racism and promote inclusion. 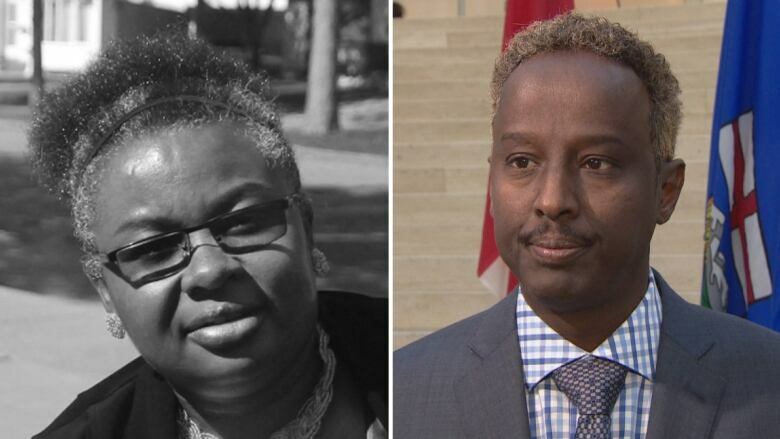 Ufuoma Odebala-Fregene and Ahmed Abdulkadir urged the city to create a new committee to advise city council on its anti-racism and inclusion policy. The city's community and public services committee met Wednesday to discuss a 44-page report that included survey results of Edmontonians' experiences of racism, feedback from community groups, and an inventory of current efforts. 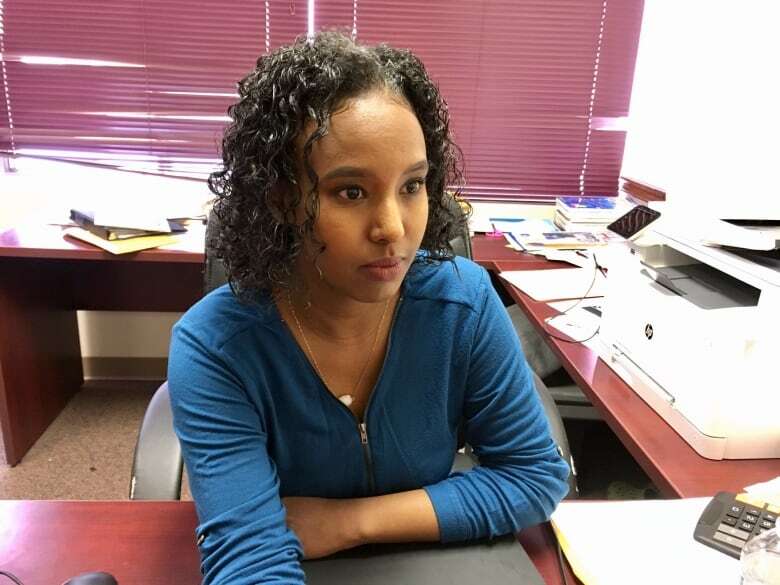 Youth advocate Dunia Nur told the committee that as a young woman of colour from a community impacted by racism and hate-motivated crimes she is "basically everything that the research [in the report] did not include." Nur, who worked with inmates before moving to the school system, said the research left out "everyone that basically poverty directly affects," including incarcerated individuals or residents of subsidized housing. She said black community members have shared their trauma and offered solutions "and yet when I read the report and the outcome, all it really spoke about is further engagement needs to take place." Nur said community volunteers have given freely of their time and expertise, and insisted paid consultants should be hired from communities. "I say this in the most authentic and respectful manner — that the way that this research has been conducted is a prime example of racism and how racism is enacted in our community and our city," she said. When Coun. Scott McKeen suggested communities needed to share stories of their everyday experiences, Nur responded: "I can confidently say that the stories have been shared." Nur highlighted statistics around student expulsions, the growth of the prison population, and subsidized housing. After the presentations, councillors passed a motion to take steps to set up an advisory committee. They acknowledged concerns that were raised about delays and sought to move ahead with some urgency. Coun. Ben Henderson described the advisory committee as a model that "makes a lot of sense" because members would be able to bridge the divide and ask the hard questions. "I think we have to hit some milestones, we have to prove some points here," McKeen said. McKeen listed off committees that advise council on everything from transit to women's issues, saying Wednesday's presenters wanted to know why there wasn't one for them. "We didn't have a good answer as to why not, because It's a good idea," said McKeen, adding he hopes to see the committee in place late this year or early next year. Mike Chow, acting director of multicultural relations, said a committee wasn't in the proposed framework but it would be "a good step forward in moving this work into action." He also raised the possibility of setting aside specific positions on all boards of authority for LGBTQ and racialized Edmontonians. Community activist Ufuoma Odebala-FregeneIn also presented to councillors. In an interview with CBC a day earlier, she criticized the length of time it has taken to produce the report since community groups first took their concerns to the city in November 2016. "At this point, I'm questioning their capacity to deliver," said Odebala-Fregene. "They're dragging their feet." Odebala-Fregene described the report as "a dump of ideas" noting the impact of racism on Edmontonians has long been established. It's partly why an advisory committee is needed, she said. Community advocate Ahmed Abdulkadir said an advisory committee would allow the city to be guided by a road map rather than simply in reaction to incidents. "We're dealing with lives of people who are experiencing hate and racism continuously," Abdulkadir told CBC on Tuesday. "So our communities have to be at the table if we want reconciliation on this issue."